Jonathon Roberts here, aka ComposerDad, with a special announcement. We are busy working on Season Two of the ComposerDad Podcast, coming out July 19th, 2018. 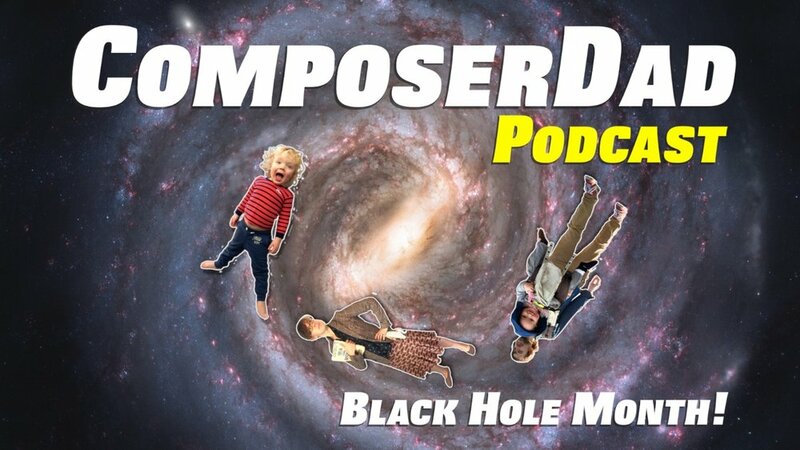 In the first episode, ComposerDad and the gang fly through space and accept an intense compositional challenge from a talking black hole! All month we'll be working on this episode and writing music made the sound of two black holes colliding! Here is the sound, as captured by the Laser Interferometer Gravitational-Wave Observatory. That's an actual place and that's the real sound. How is that going to be turned into a composition? I do not know! But I do know that we want you, ComposerDad listeners and patrons, to be a part of the creative process along the way, giving feedback on the music and story. So, parents, just go to ComposerDad.com and sign up for the mailing list and check out the events tab to catch the Facebook Live and YouTube songwriting jam, and all Black Hole-related fun this month! Alright! See you in space!